Everyone knows how important a good night’s sleep is! These Breathe Right Nasal Strips are helpful to anyone who snores, or anyone who sleeps next to a snorer. The strips go over the nose to minimize snoring and improve sleep. They also lift and open your nasal passages, and is more effective than nasal sprays alone. Enjoy this free sample and see this difference this snoring remedy can make for you or a loved one! 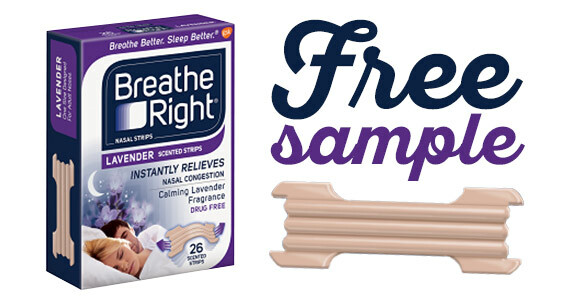 Receive a free sample of Breathe Right nasal strips and allow 1 to 2 weeks for delivery. You’ll also receive their email newsletter filled with tips and offers to help you rest easy.